Description: Come unplug from the busyness of daily life and connect with others as well as your faith. Montlure is a place for youth to engage in wild and crazy camp fun while also actively engaging their faith journeys. From camp More.. Description: These literature based art camps allows students to explore the performing arts of music, aerial dance and creative movement as well as theater, writing, drama, visual arts and costume design. Classes will use a classic children’s story as a jumping More.. Description: Explore beautiful Mount Lemmon on an overnight outdoor adventure! Plan and prepare for a backpacking trip, practice essential survival skills and learn first aid, and let your inner outdoorswoman ROAR! Camp out on the summit of Mount Bigelow and visit More.. Description: Back by popular demand is Mad Scientist camp! The most popular Heart & Soul camp is full of wacky and exciting experiments and tests. Our hypothesis is that your kids will have a mad time learning about eruptions, slime, and More.. Description: Experience the great tradition and fun that is Triangle Y Ranch Camp. Our program has a purpose. They learn self confidence, resilience, and make life long friends. All activities, archery, horse back riding, climbing wall, zip line, More.. Hours: 12 a.m. - 2 p.m. Description: Come unplug from the busyness of daily life and connect with others as well as your faith. Montlure is a place for children/youth to engage in wild and crazy camp fun while also actively engaging their faith journeys. From camp More.. Description: We have lots of tinkerers and builders around Heart & Soul and are excited to offer this STEM-oriented camp for the first time! We’ll be working on our problem-solving skills with structure building activities, brainstorming crafts, and so much more! More.. Description: If you want to experience everything Camp Whispering Pines has to offer, then Trail Mix is the camp for you! Enjoy a mix of traditional camp activities like archery, arts and crafts, the low ropes course, exploring hiking trails and More.. Cost: $495. We offer scholarships in the for of Full, Half, or Partial. Description: The Senior Forester Academy strives to “nurture the love in nature” in kids 11-12 years old. The NAU Centennial Forest invites campers to engage in hands-on lessons about wildlife, trees, conservation, and forest research – all while making new friends! More.. Description: Smith-Perry Tennis Academy Evening Summer Camps - Ages 6-18, Mon-Thu, May 28-Aug 1, $185 per Two Week Session, FUN Tennis Camp in the Cool Summer Evenings. 6:00pm-8:00pm. Certified Pros provide excellent instruction for all levels and teach proper fundamentals. Learn More.. 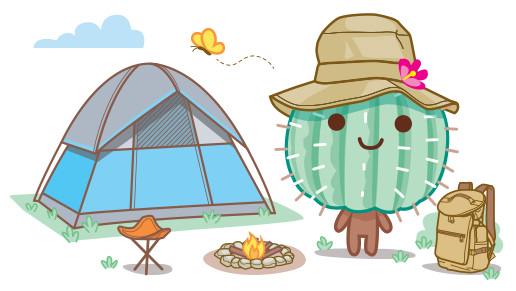 Description: Treat your kids to the greatest summer adventure in Tucson – NOW available for campers in grades 1-8! Reid Park Zoo offers action-packed summer day camps for kids entering grades 1-8. Games, crafts, animal ambassador encounters, and behind-the-scenes opportunities–make this camp More..